After playing a bit with the stabilizer i got annoyed with the motor controller I had used. It was the circuit board from an old analog servo. It regulated the motor with 50Hz PWM, had a limited output range and an annoying dead-band. All this led to noisy regulation and oscillation caused by the dead-band. 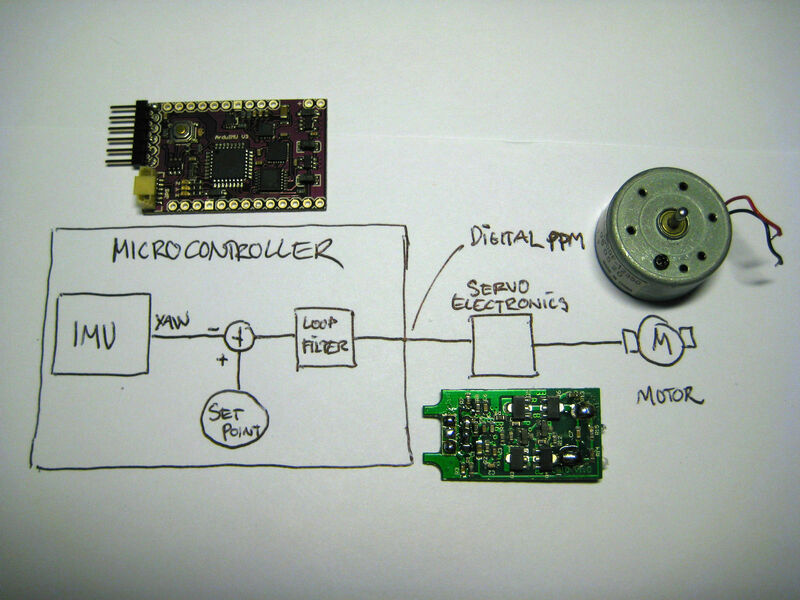 The micro controller has the capability to output the motor command as a 8kHz PWM- and a direction signal. 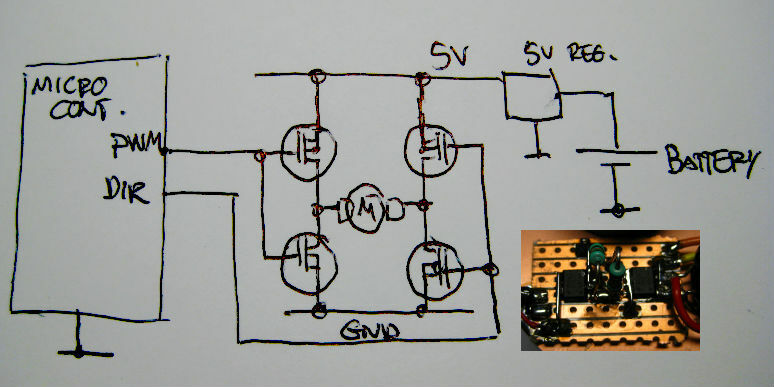 Using these signals to drive a simple MOSFET H-bridge i was able to get a much smoother and quieter regulation.